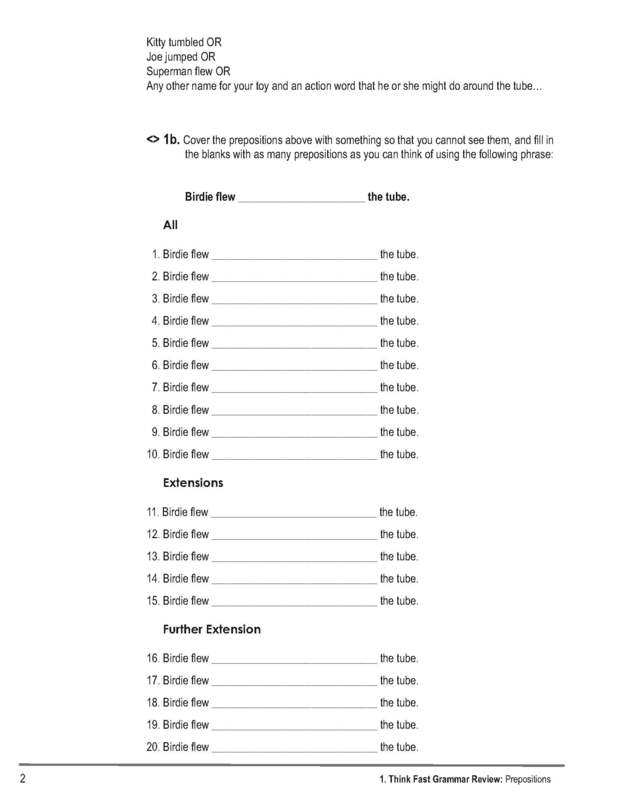 All of the methods within this Preposition Practice Packet have one thing in common: they focus on the PURPOSE of the preposition—to show spatial relationships or time. 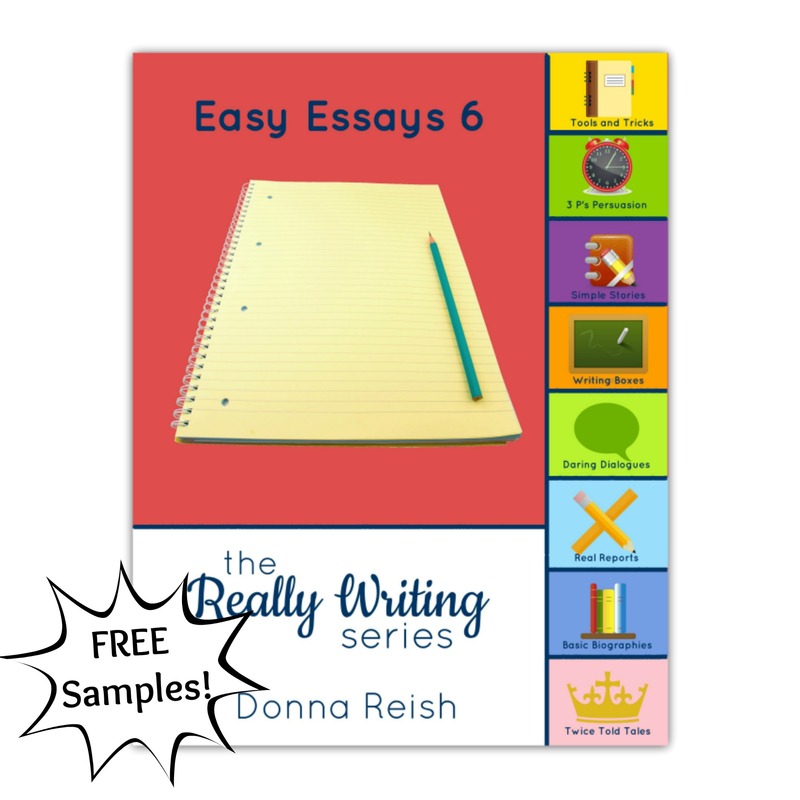 This 80 page practice packet has fifteen lessons (with student assignments) introducing prepositions in a systematic order: initial letter, with the practice pal, as opposites, as synonyms, as compound words, and more. 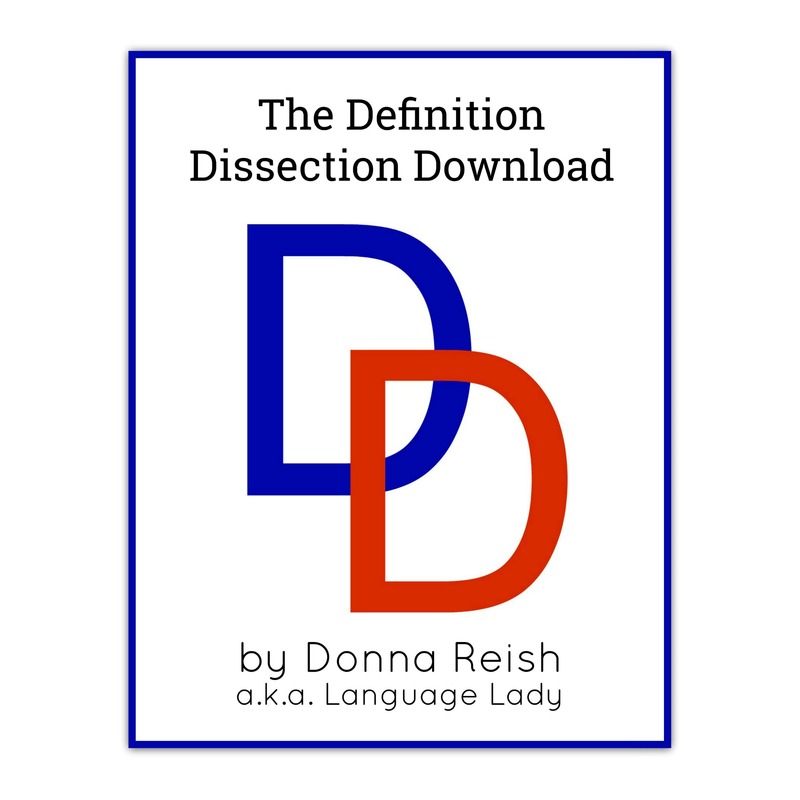 When you use this packet, your student will learn prepositions by the boatload—but they will also learn them for their purpose. Aboard, about, above. 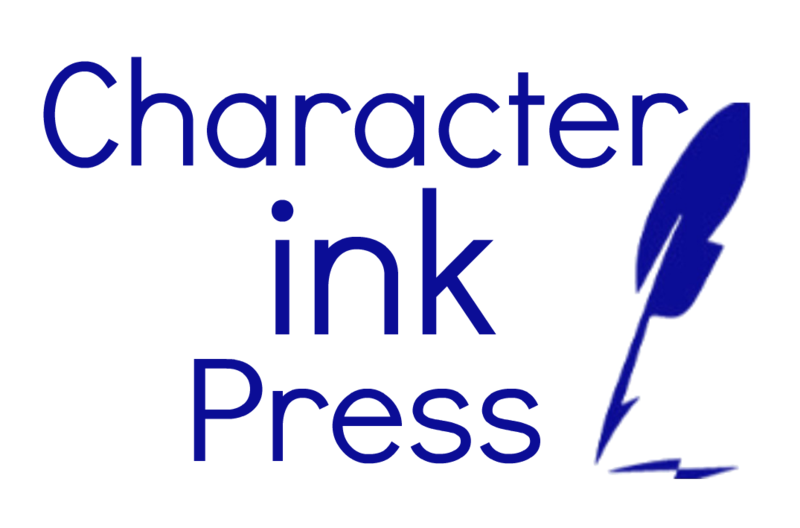 Along, among, around…. 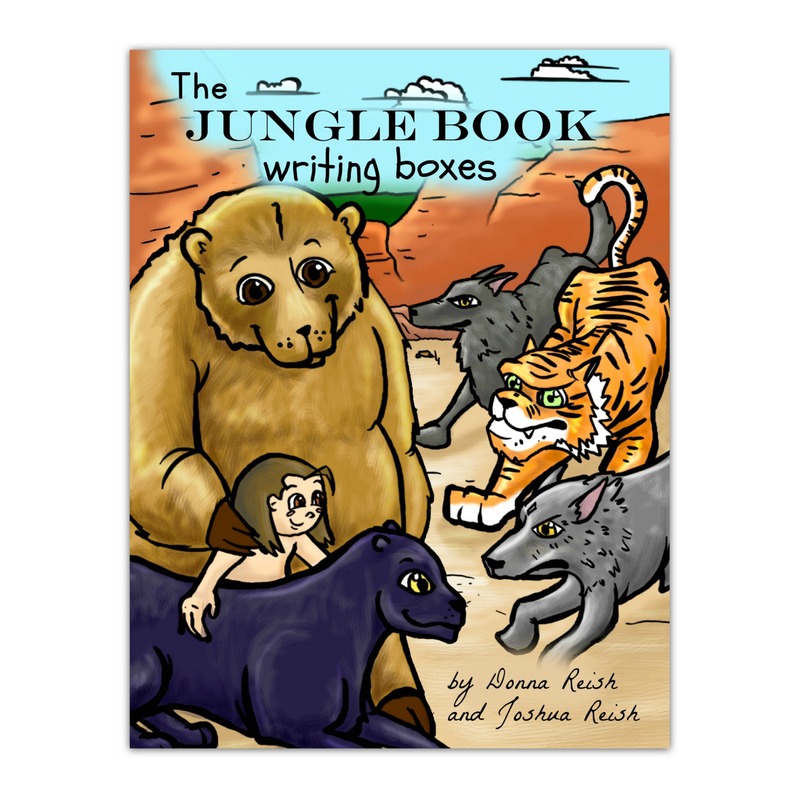 I’m all about songs, jingles, rhymes, recitation, and mnemonics for learning parts of speech (and really anything). 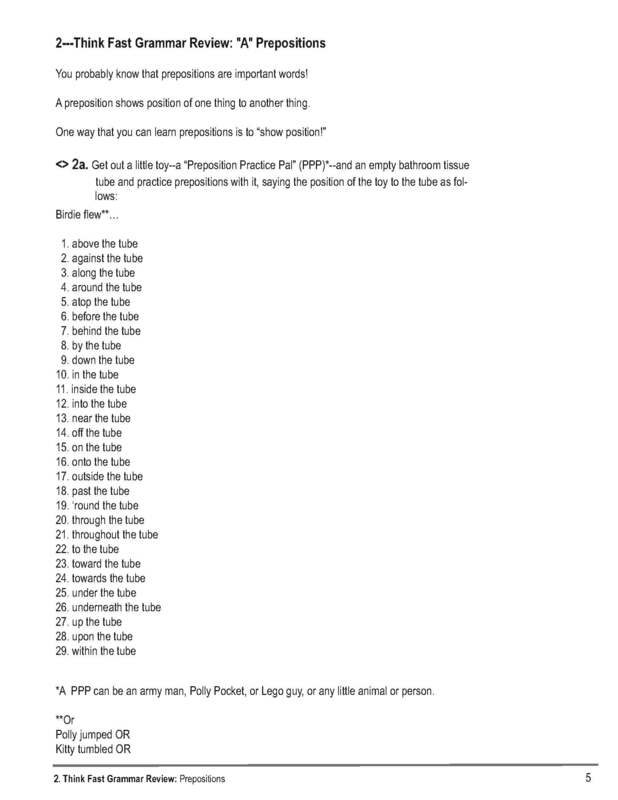 Enter my Preposition Practice Packet! I use tricks. I use check sentences. I even use toys (“Preposition Practice Pals”!) to teach prepositions (and practice them). 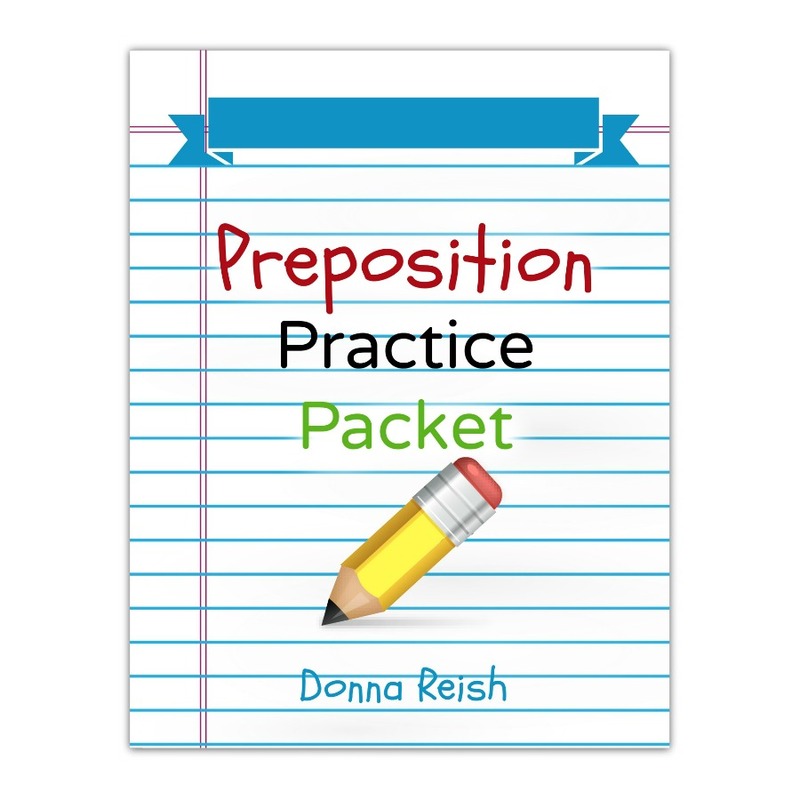 But all of the methods within this Preposition Practice Packet have one thing in common: they focus on the PURPOSE of the preposition—to show spatial relationships or time. 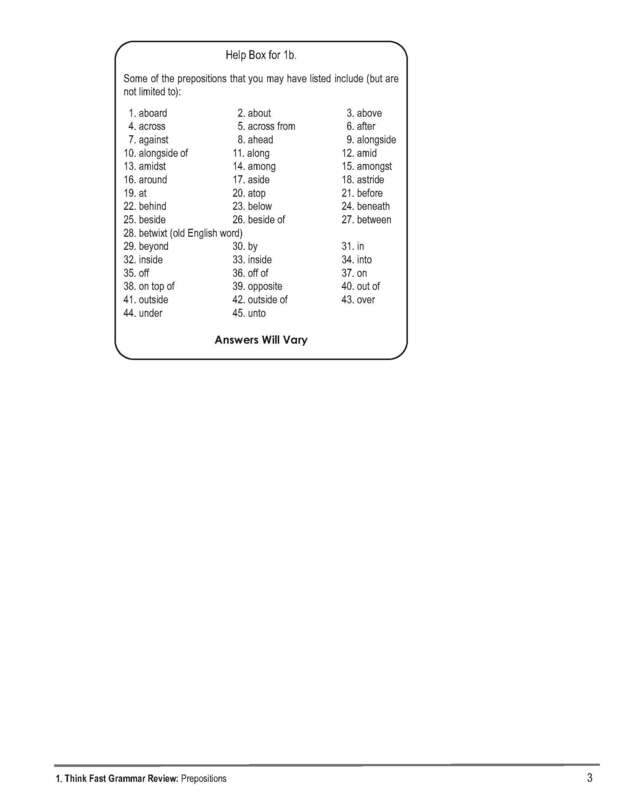 Note: If you like the Preposition Practice Packet, you will love the Think Fast Grammar Quiz and Answer Key! Watch the video for this packet here. 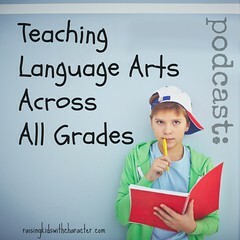 Listen to my podcast on Teaching Language Arts Across All Grades.